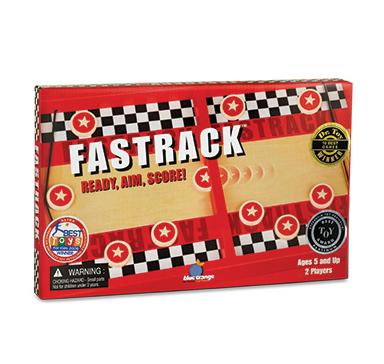 Fastrack is a disc-shooting speed game filled with non-stop thrills and sporty action. Using only one hand and the elastic band, the goal is to fire all 10 discs through the tiny slot to the other side of the track. 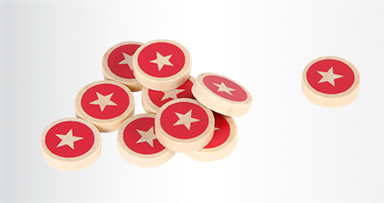 Aim carefully but be fast or you’ll be bombarded by your opponent’s zooming discs. Ride the fine line between fast speed and accuracy to win! 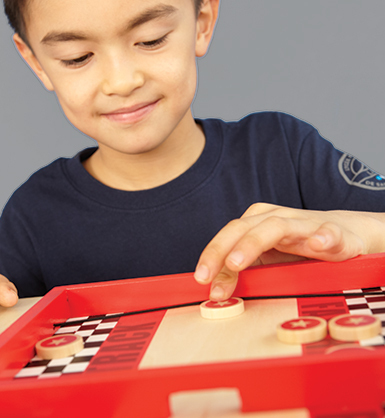 This all wooden dexterity game is sustainably made.